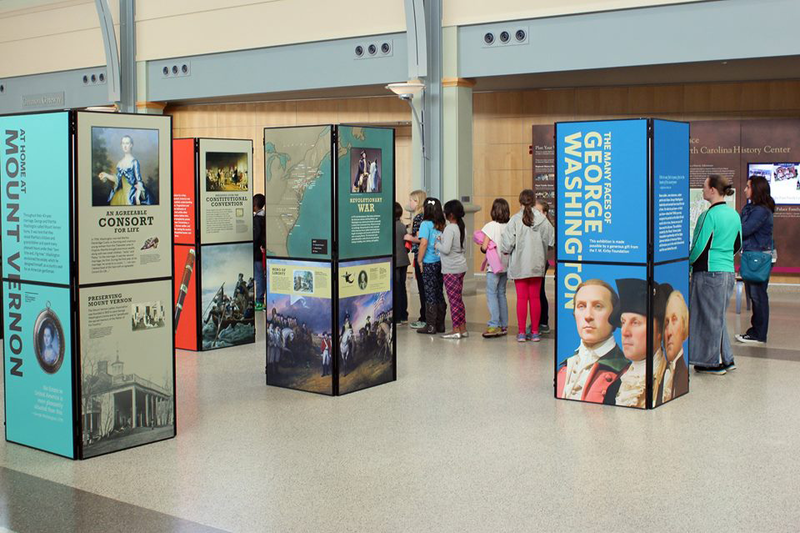 This exhibition provides background and insight into our nation’s first president, a man whom many recognize but few know much about. Using interpretive and educational materials, the exhibition examines the multi-dimensional, real-life man behind the myth. Produced by George Washington’s home, Mount Vernon, in conjunction with the Gilder Lehrman Institute of American History, this exhibition presents the many different facets of Washington’s leadership through dazzling color graphics of paintings, photographs, and iconic objects from the Mount Vernon collections. This traveling exhibition is composed of seven freestanding sections. It will require a total of 65−75 running feet of display space. The loan period for this exhibition is up to six weeks. Sites are required to pay a loan fee of $1350, which covers shipping and administrative costs, and a refundable $250 deposit.